with trim immersed in liquid. There are almost uncountable control valve variants available in the industrial marketplace. Some have applicability over a wide range of settings, with size, materials of construction, or pressure rating being their only distinguishing factor. Others are tailored to comparatively narrow performance bands or applications, delivering specialized performance where it is needed. SOR, global manufacturer of fluid measurement control components, fills an application niche with its "freezeless" control valve. 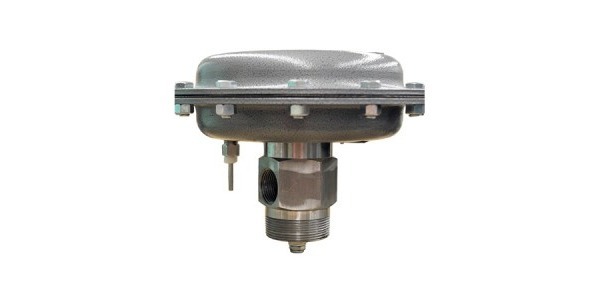 Intended primarily for use on oil production equipment, the compact model 1451 control valve mounts directly to a separator or scrubber in a manner that places the plug and seat submerged in the process liquid. The liquid acts as a heat source to keep the valve trim from freezing. More information is provided in the data sheet below. For best results, share your fluid measurement and control challenges with application specialists, combining your own process knowledge and experience with their product application expertise to develop and effective solution. Industrial Control Valves - 1400 Series from Instrument Specialties, Inc.